This is how I ended my review of FIFA 18 about this time last year. If I could go back and change a part of that, I’d talk about how the changes in manager career mode were mainly just how negotiations were done and that was about it. The more I played the game last year, the more I realized that the condensed version of transfers shouldn’t qualify as a revamping. So here we are, one year later and I’m staring at FIFA 19 on my television. I’m getting the full experience as I’ve upgraded to a 4K television and have good quality home theater audio. Yet all that feels different overall is the latest chapter of The Journey and what changes were made to Ultimate Team. EA, I told you last year that you can’t rest on the laurels of the franchise and needed to make some serious changes. 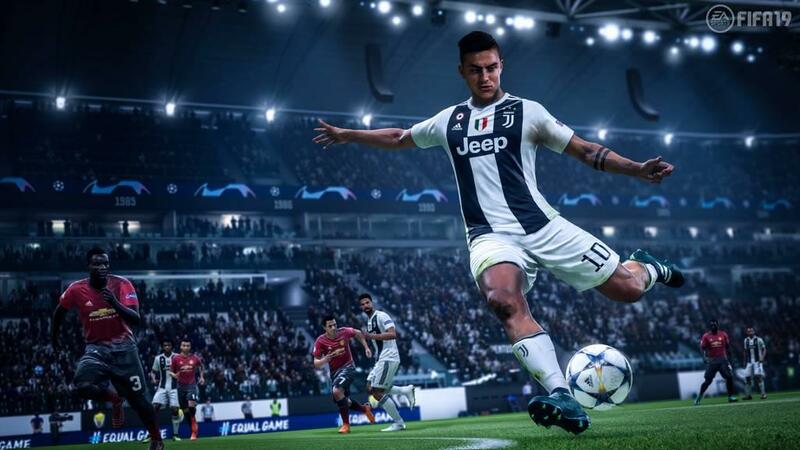 They didn’t, and now it’s time to explain why you should skip FIFA 19. Gameplay has been tweaked, but it sure feels the same. The first night I played FIFA 19, the game felt different. Perhaps it was because I hadn’t touched FIFA 18 for a few months and wanted a truly fresh outlook on this franchise that I enjoy year in and year out. 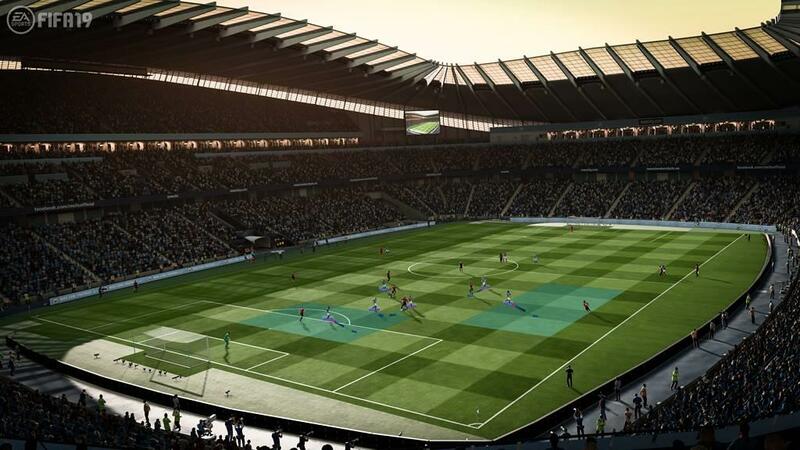 Tactics had changed in-game, allowing to set multiple styles of tactics and formations and seamlessly changing them in the game. That’s good! It comes in handy, especially in manager mode when every win matters to build up your team. The quick tactics that one would find on the D-pad have received a minor change and can be implemented together or separately now, including pressing and having CBs join attacks. It’s a nice addition, but again, it’s something we should have had years ago. The AI this year though? It’s regressed. That first night I had a hard time breaking down defenses because I was still thinking about how they moved in FIFA 18. Well, when you learn their base movements and when defenders will step out to attack you, it is almost stupidly easy to feed someone on a through ball or a chip over the top. Yes, those defenders still have that magical phantom gear to catch up but it seemed like they lost about half a step on the acceleration. There are new game modes to go along with the supposed tweaks in gameplay, mainly all in the form of the new House Rules section. Basically, a mode can be changed up to limit how teams can score (e.g. Headers and Volleys only count), survival mode (scored a goal? Say goodbye to a random player) and long range mode, which only counts goals scored outside of the penalty area. Look, these modes are fine and dandy...but this is not what players have been asking for, which brings us to…. Champions League licensing aside, career mode is sadly the same. I’ve reached my breaking point with career mode and FIFA games. I’m not going to sit here and pretend that career mode is this huge cash cow that EA hasn’t figured out. To their credit, they haven’t lootboxed the ever-loving hell out of it like 2K Games has done with their NBA career mode, so it could be worse. 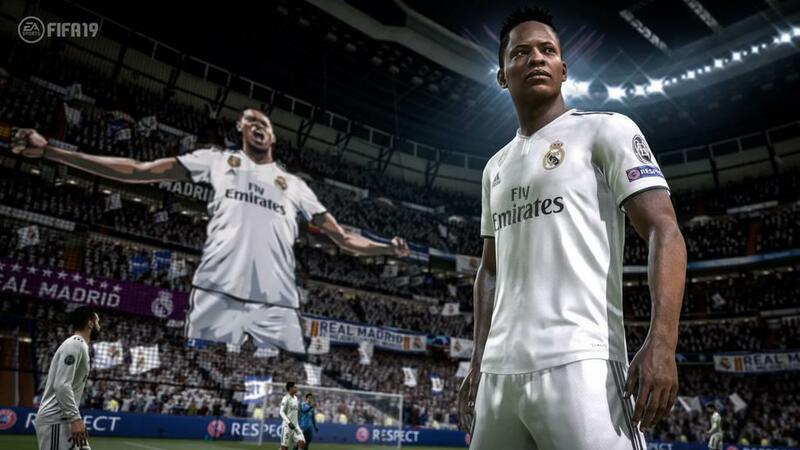 But after seeing the changes in negotiations for transfer fees and contracts last year, I was hopeful that we were going to get true meaningful change once EA announced that they had acquired the UEFA licensing for Champions and Europa League. Boy was I wrong. To be fair, one of the tweaks I’ve been asking for in career mode finally got added in, and that was the ability to change countries when editing the draw for Champions and Europa League. It means getting a more accurate start on a season. Last year, the closest you could get to the most accurate draw was only 27 of 32 clubs. Five of them were just not available to select, even though a couple of them were in the game. This year? I can get 31 of 32, with only Red Star Belgrade missing because they are not in the game. Replacing them with Dynamo Kiev is simple enough and a balanced selection. Voila! Accurate group stages! And, while the walkouts are cool with the Champions League anthem being played….look, it’s the same competition that we’ve had in FIFA the last several years that was simply known as the Champions Cup and Euro Cup. Sure, there are these little five second clips that show some old man in a suit holding up your clubs name as a highlight, but how about giving us that as a complete show for the entire draw? That’s drama, and while after a few seasons I might skip it, it still would be something fresh! The only other change I can see in career mode is the ability to raise strength and speed in training mode finally. It only took a few versions, but two of the most important attributes are no longer left up to chance by the computer. So, again, thank you for adding something we’ve wanted and should have had like four versions ago. Outside of that? Career mode is the exact same thing as last year. The interface is the same. The manager faces are the same. The player creation is the same. All of it is literally the same thing you played last year, except for the roster update and adding UEFA licensing. EA, I’m begging you: Remember when you cared about career mode? I can go back to NCAA Football 14 and remember those awesome progression charts that coaches had in order to earn perks and player boosts! Where are they at for this game because they’re practically begging for it! Hell, you already have them in The Journey! It cannot be that hard to implement an experience points system for a brand new manager who is starting his career in League Two at Macclesfield, trying to build them up into a European power. There are numerous ideas out there, whether from reviewers like me or career mode players that comment on your Facebook pages, Twitter pages, or on Youtube. Listen to us, because we’re fearing the worst with career mode. The Journey is still good and fun. I’ve raved about The Journey the last two versions as a new style of superstar mode, and the third chapter is no different, allowing players to focus not just on Alex’s story, but to see things through with Danny Williams and Kim Hunter. The mode is curated to basically dive in and out of each protagonist’s story, allowing major decisions to carry over into other storylines. This is a mode you’ll want to play a few times through to see what kind of story endings you can create. I won’t spoil anything for you, other than I can tell you that if you enjoyed the first two chapters, the third chapter doesn’t miss a beat. Paging Pro Clubs and Seasons? Has anyone seen changes for them? I’m sad to report that both of these modes are untouched. They’ve received literally no changes that I can see and were even left off of my guide. It’s a shame because Pro Clubs with a group of friends is so much fun, yet EA just doesn’t seem to realize that it’s a sleeping giant that could become as popular as FUT with just a little love. 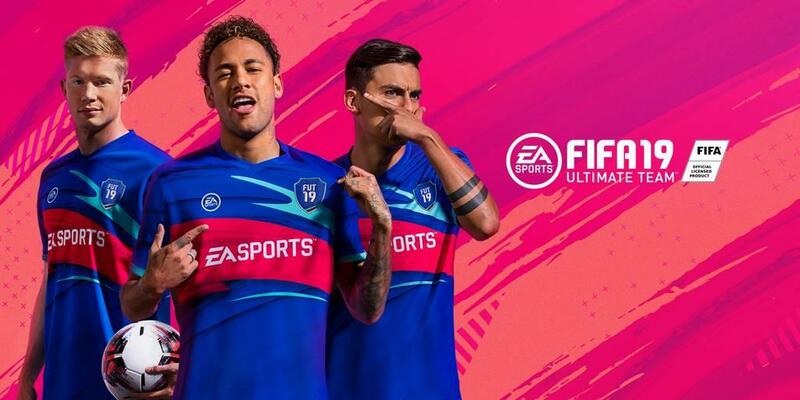 In the least surprising part of this review, FIFA Ultimate Team returns and, as expected, has received a lot of the focus when it comes to changes. 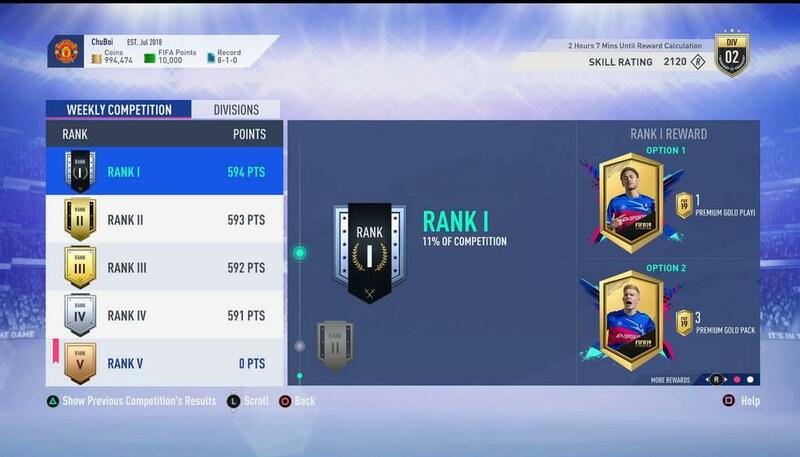 Included in this year’s Ultimate Team is a new mode called Division Rivals, which is a way to balance the gameplay so you don’t run into a juggernaut who is rocking seven legend cards and can carve you up with his eyes closed. 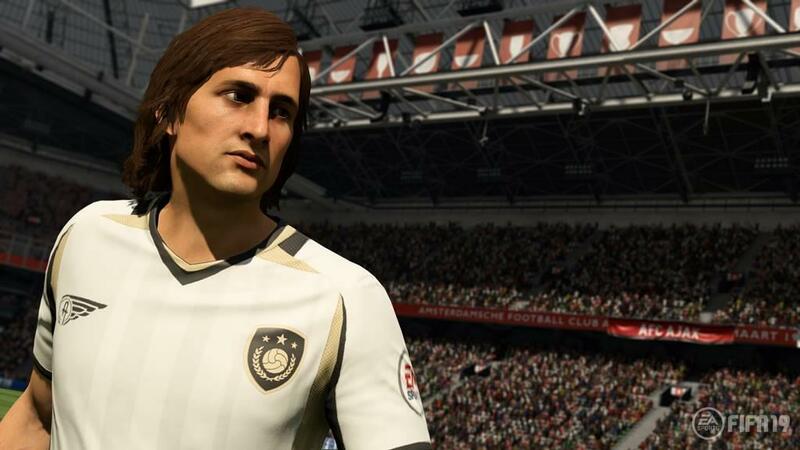 The game takes into consideration the skill level you’ve shown as a player, the average rating of your club, etc. This will result in balanced matches that players can use to compete for weekly rewards. A good addition to the online mode. Another new addition is what is called Player Picks, which presents the player with five cards to choose from. You get to keep one, but it’s supposed to give players better odds at finding those rare players that they never seem to get. This goes hand in hand with new Icon players being added, meaning now there is a greater chance of building up a team full of legends but also running into those squads that are full of 90+ rated players that make you wish you had just opted to play the CPU again. 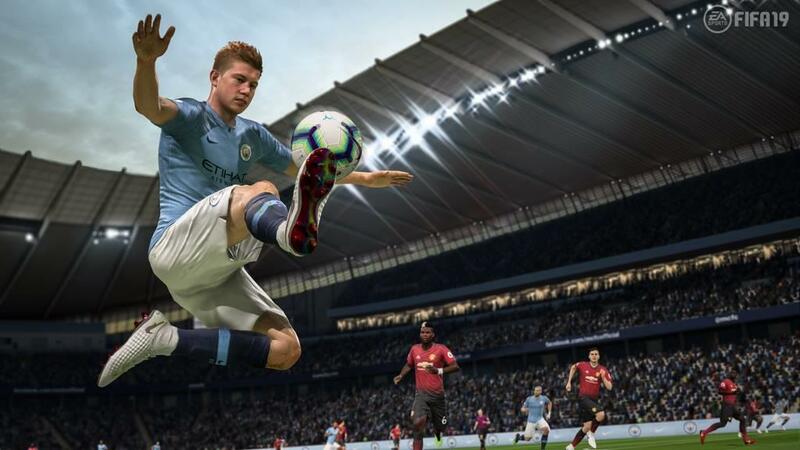 There will be plenty of live modes and campaigns for FUT, including more weekly competitions, teams of the week and new additions involving the UEFA Champions League. The economy is largely expected to stay the way it has the last couple of years with the limitations on pricing, which is one of the best moves EA did with FUT. Still, the fact that this online mode receives the most attention year in and year out is why less people are willing to shell out $60 on a yearly basis. Final thoughts: Basically it’s FUT or bust. Stating the obvious, when online modes became a regular staple of gaming and companies figured out ways to monetize certain modes online, we know there was a slippery slope that each company was approaching before they took the final step and rode that cash slide all the way to the bottom, leaving their respectability and dignity at the top of it. That might sound harsh, but let’s talk about FIFA in the last decade. 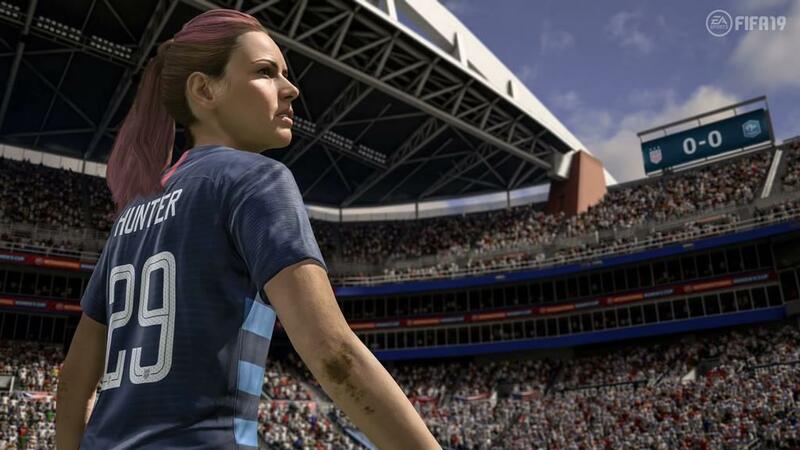 Largely, career mode has had things stripped from it or just shined up to seem like it’s new. There is so much potential in career mode to make it a truly deep and innovative mode like we see with Football Manager on the PC or mobile where there’s something to do on every single calendar day in-game while building up your own reputation. EA’s response has basically been to keep the mode the same for two to three years, add a couple of slightly new things and call it “BRAND NEW”, then rinse and repeat until people complain enough to get something else. I’m also still beating the drum on stadiums! Yes, over 20 new stadiums got added this year, and that’s good! There are still only FOUR MLS stadiums in the game. Many stadiums from major European leagues are missing and have to use the generic grounds. How is this still a problem in 2018 when everyone is using a 50GB Blu-Ray disc? NCAA Football 14 had 80% less room and still managed to cram 120 stadiums into it! Look, the game itself is fine. The gameplay is enjoyable and I will still do my long running career modes because what’s there is still fun, even if I’ve played it so many times before and wished there was just more to do. I yearn for EA to surprise us one year and say “Hey, we didn’t really change FUT up much but we did all this cool sh*t with career mode!” and they spend an hour talking about those changes while those of us who love single player modes shed tears of joy. Sadly, that is just not going to happen. FUT is a massive cash cow, one that EA lives off of every year and knows that the whales out there will buy the game and pump thousands of dollars into the mode each year, not caring that it all resets the next. EA, I’m not one of those people, and I’m joining the masses of gamers, writers, YouTubers, etc who have had it with this model. I want to love your game, I really do! But it’s time to call you out: Your changes to everything besides FUT are marginal at best and do not condone charging everyone $60. Is the gameplay fun? Sure, but it’s largely the same as last year. Career mode gets Champions League branding but nothing else noteworthy. Pro Clubs and Seasons get ignored. The Journey is fun, but cannot make up for the rest of the largely ignored modes. If you love FUT, you’ll love this game. Otherwise, it just isn’t worth banging your head against the wall for another year of much of the same. The rating might seem harsh, but when you've played this same game the last couple of years, you get tired of it.